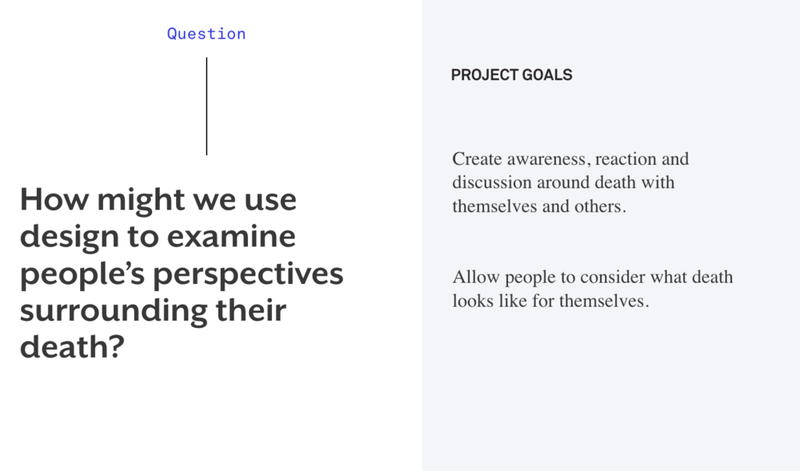 A speculative workshop on designing your funeral experience. I prompted participants to imagine their funeral, most importantly to imagine how they want their friends and families to experience. The workshop began with a group exercise. 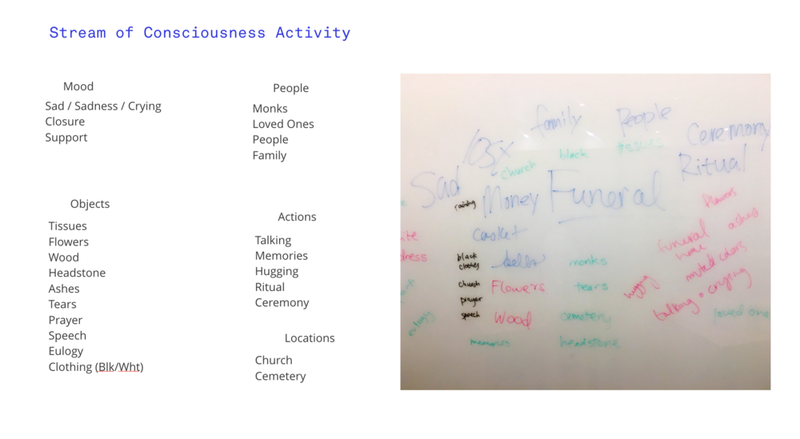 Participants wrote the words they associated with funerals on the whiteboard. If you're interested in exploring your own funeral ritual, you can download the worksheet here.